Two members of the board of a "failing" mental health trust, put back in special measures last week, have resigned. On Friday the Care Quality Commission (CQC) rated the Norfolk and Suffolk NHS Foundation Trust (NSFT) as inadequate. Jane Sayer, director of nursing, and Leigh Howlett, director of strategy, have now resigned from the NSFT board. Both cited their decision to leave as a response to the findings of the CQC report. They both will fulfil their six-month notice periods working within the wider NHS. The chief executive of the the trust, Michael Scott, announced his retirement just before the report was published. NSFT's Chief Executive Julie Cave said that NSFT would now take the time to rejuvenate the board's membership. 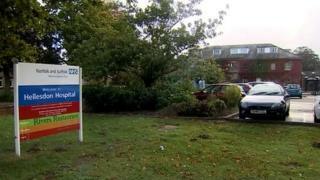 The CQC said the board of the NSFT had failed to ensure "unsafe environments were made safe". The CQC's chief inspector of hospitals, Ted Baker, said: "It is extremely disappointing that on our return to NSFT we found the board had failed to address a number of serious concerns."